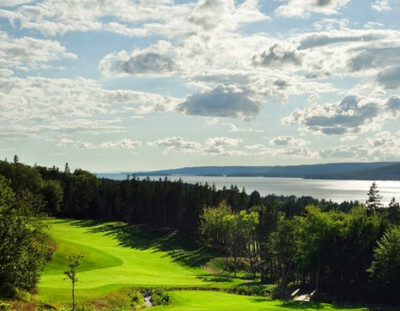 Overlooking the beautiful Bras d’Or Lakes… with rolling hills, crashing streams and dramatic elevation changes! in the Acadian village of Cheticamp on the world famous Cabot Trail. A true links experience! Enter an idylic world of golf as it was meant to be experienced. Thomas McBroom masterpiece…incredible views from virtually every hole! 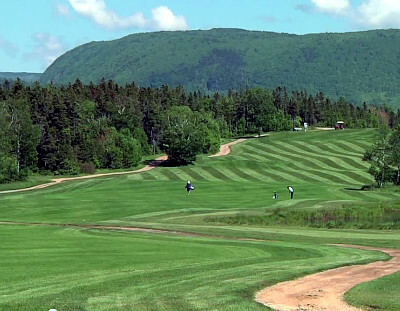 Cape Breton Island - World Class Golf Destination! Enter an idylic world of golf as it was meant to be experienced. 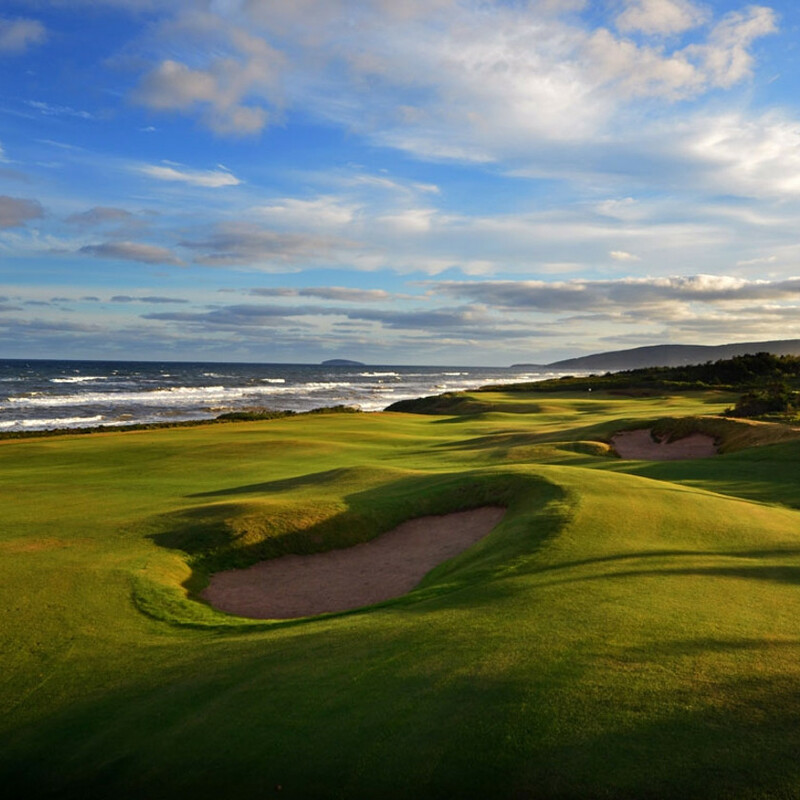 Transporting you back to golf's beginnings along Scotland's magnificent coastline, Cape Breton Island's newest additions, Cabot Cliffs and Cabot Links, with their rugged, wind-swept linksland make for a truly authentic links experience. 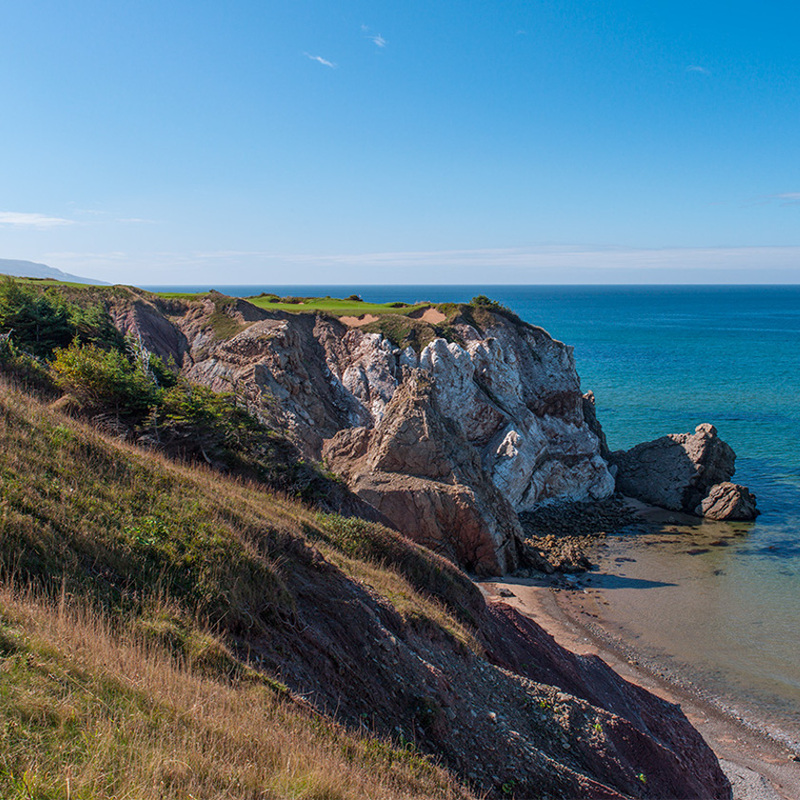 Cabot Cliffs, with its rolling sand dunes along a breathtaking panoramic seascape, has all the makings for a world class golf course! 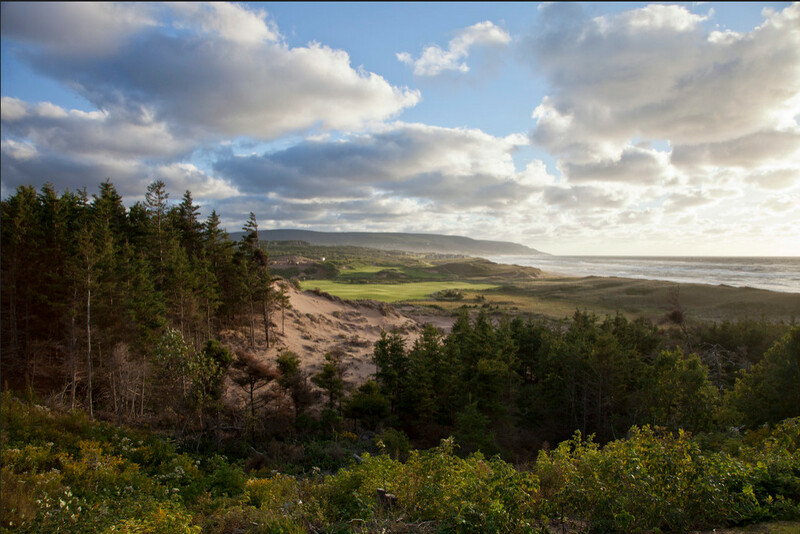 No wonder buzz phrases like "Pebble Beach on steroids"; "makes Cypress Point look small"; are ricocheting around the globe resulting in Cabot Cliffs earning a top 10 spot on Golf Digest's Top 100 list for 2017! Six World Class Courses on one Fabulous Island Destination! 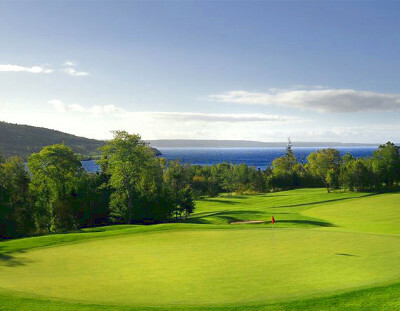 Authentic Links "To see the ocean from everywhere on the links, and to play golf on the ground as well as in the air...golf as it was meant to be and as it has been for centuries"
"One of Cape Breton Island’s premier golf courses, Bell Bay overlooks the Bras d’Or Lakes in beautiful Baddeck. This Thomas McBroom masterpiece has incredible views from virtually every hole. The course was sculpted into the natural features of the land to make each hole very distinctive." 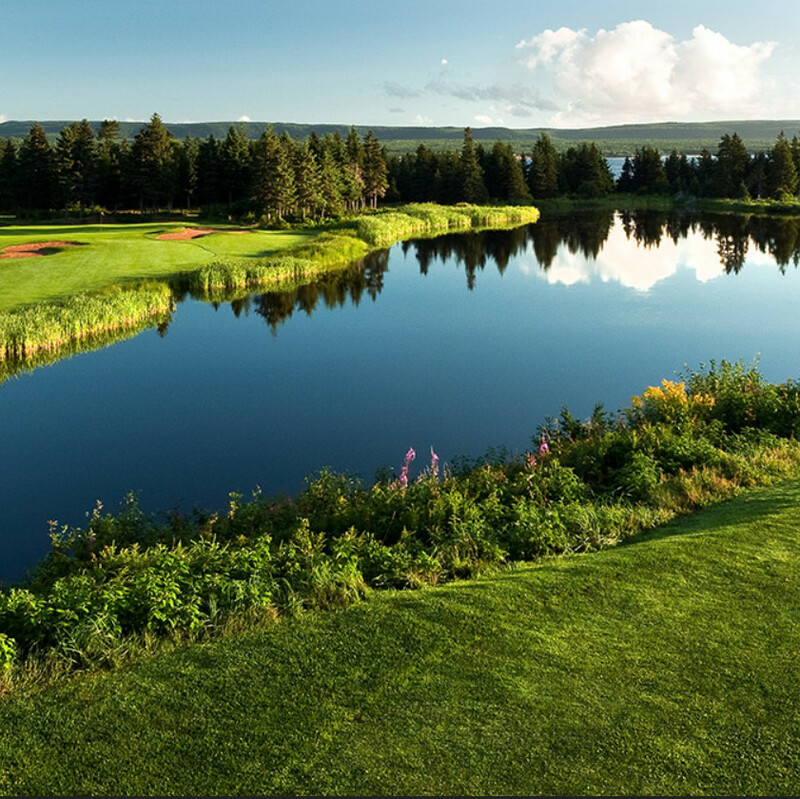 "The Lakes Golf Club, Cape Bretons premier golf destination overlooking the beautiful Bras d’Or Lakes in Ben Eoin, Nova Scotia. With rolling hills, crashing streams and dramatic elevation changes, the Lakes engages you in unique experiences that far transcends the ordinary." Located on the world famous Cabot Trail with great views of the Cape Breton Highlands and the Northumberland Strait, prepare to be blown away by the sheer beauty of the layout, the land, and the hospitality!